Sabrina running through the woods to make her baptism. 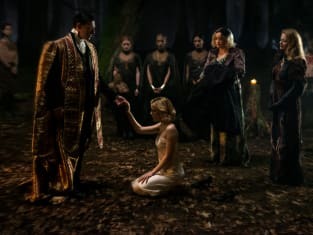 Chilling Adventures of Sabrina Season 1 Episode 2: "Chapter Two: The Dark Baptism"
Aunt Zelda: She annoyed me, so I killed her and buried her in the yard. Permalink: She annoyed me, so I killed her and buried her in the yard.